A beautifully restored fireplace can take pride of place in your home, no matter which room. They add value and balance to your living room or master bedroom. 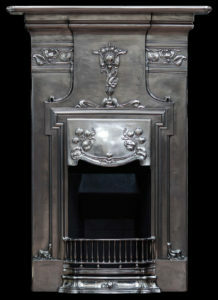 Today’s reproduction fireplaces lack the charm of a 19th century or 20th century original fireplace. This is why Antique Fireplace Restoration are passionate about old fireplaces. Our old fireplaces not only make a statement in your home. They can tell a story. They are also a snapshot of a past age. Many of our old fashioned fireplaces, before being restored by us, have had ‘previous lives’ in other homes. They have been ‘rescued’ from reclamation sites and spruced up to ‘as new’ condition. From cast iron to marble, we have a wide selection of old fireplaces, suitable for the parlour or the living room. Victorian and Edwardian era surrounds and fire places. When you buy one of our restored old fashioned fireplaces, we can also find suitable surrounds and accessories. Everything, from surrounds to firedogs will be in ‘as new’ condition. With over forty years of combined experience, they could outlast newly manufactured reproduction fireplaces. It is more environmentally friendly than buying a newly manufactured one, as an old fireplace is given a new lease of life. If you have any queries about our old fireplaces, why not have a chat with us? You can call into our showrooms on Saturdays and Sundays (10am to 5pm and 11am to 4pm), or you could book a weekday appointment visit (10am to 5pm). Our telephone number is 0161 225 8967. If you prefer to send us an email, our address is info@tafrc.co.uk. We would be delighted to hear from you.